Science Thrillers Media, 9781732854116, 308pp. A fight against the food industry turns deadly. Jeremy, a lonely and obese teenager, shoots into the limelight when a headstrong public health nurse persuades him to sue the food industry. Tossed into a storm of media buzz and bullying, the teen draws the attention of a serial killer who's targeting the obese. Soon the boy, the nurse, and their loved ones take center stage in a delusional man's drama. 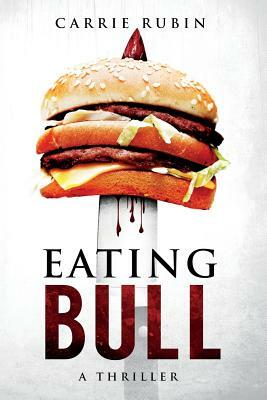 In this novel of suspense, Eating Bull explores the real-life issues of bullying, fat-shaming, food addiction, and the food industry's role in obesity.